merrily karolys: Am I being too picky? 1. Quality of illustration. You can't judge a book by its cover . . . but if you can't stand the cover it might be hard to get through the book. I'm no artist, but it seems to be a growing trend in illustration to have really awful, scribbly pictures that look like a 4-year old drew them. No thanks. If we want those, we'll have our 4-year old draw them. 2. Quality of writing. How hard is it to think a little bit about the way you put your words together? Especially in a children's book where there aren't even very many words to worry about. Think about the words, make them sound good. That's all. 3. Quality of message. 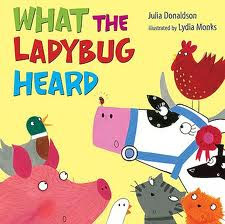 We have read soooo many children's books that are crude or where the kids are brats or afraid of everything or where all the animals on the farm are just going about their daily business but there is nothing special about the story except that we learn that the cow goes "moo" (what 1-year old doesn't know that already?) . . . Come up with something that has a fun twist or an important message! How hard could that be? Here are a few books that we have enjoyed lately. I'll tell you a little about them . . .
but before I do that I just want to say, yes, it doesn't matter so much if the parent enjoys the books. But my kids will pretty much enjoy anything I read to them, so is it too much to ask for me to enjoy it too? Plus, I really do want them to get good messages from the books they read. I want them to get used to reading to be inspired, not just entertained. It's funny-- lately when we finish a library book little josh will turn to me and say something like, "That was a pretty good book, right Mom?" I guess he is used to me passing judgment each time we finish a book. Maybe I am teaching him to be too critical instead of just having fun, but I think it's good to discuss books and talk about what we did or didn't like about them. It prepares him to think about everything he takes in, instead of just soaking it all up like a couch potato. 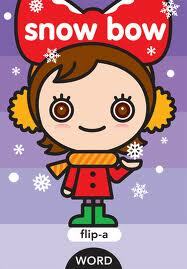 This one is so cute! 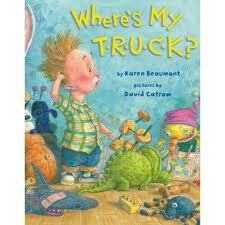 The boy can't find his t-r-u-c-k. At the very least, your kid will be able to spell truck by the end of the book. The illustrations are adorable as well. Have you heard of this one? I didn't know it existed until last year. It's really fun to read aloud. We liked it so much we bought it. This is a cute book that uses the farm theme in a fun twist. And who doesn't love a book with robbers in it? I'm including this one for bennett's sake. We read it like a year ago and he still quotes from it. Sure, it's a common theme in children's books, but it's cute. You might be thinking, "But I don't speak Spanish!" when you see this title. Well then, this book is for you. It's the story of Goldilocks in English, and it rhymes, and then every once in a while it will substitute a Spanish word for an English word in a fun way. Your kid can probably even guess what the word means from the context. Love it. 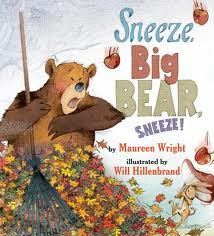 There are so many books about changing seasons and bears, but this one was quite fun. Oh no! 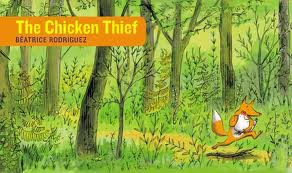 The fox stole the chicken! Who will rescue her? You can have your kid describe what's happening as you go along. This one is a hoot. The cake disappears and you have to figure out why and when. There are so many side stories going on at the same time and it's fun to trace them through as you read the book. 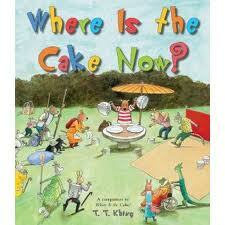 (This is a sequel of sorts to Where Is the Cake? but I like this one better I think.) Josh Sr. is especially good at making this kind of book fun. Really quick, while I'm on the topic of books, we found these books by Yukiko Kido that are really good for teaching a beginner how to recognize words and read through rhymes. I've seen a lot of early reading books that didn't help my kid at all, but these (we've found maybe eight different ones at our library) are really simple and effective and joshy loves them. I think they helped him have a real breakthrough in reading. 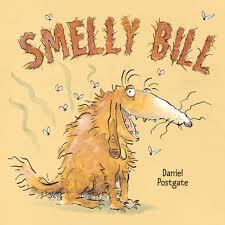 Smelly Bill doesn't want to take a bath . . . but he meets his nemesis in this book. So funny, and the rhymes are delightful. This book has two great things about it: It teaches a little bit of math AND it teaches your kids to toughen up and not cry about it when something goes wrong. No offense, but my kids really need this lesson. 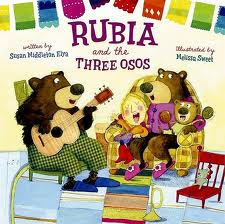 Oh, PLUS, there is a link to a website that reads the book and the little song in it is so much fun! My kids love it. This one might be my all-time fave. 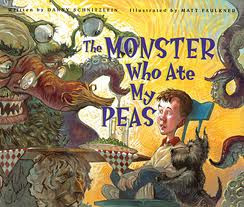 This kid doesn't want to eat his peas and he finds someone to eat them for him . . . for a price. It is so clever and the moral is awesome. This is the kind of book I would really love to find more of. Maybe it just rang true to me because I don't like vegetables. Try some of these books out with your kids and let me know what you think! Do you have any awesome ones we should look up? Do you think I am being too critical? Should I let my boys bring home all the made-from-tv-or-movies-and-are-absolutely-painful-to-read-and-make-me-want-to-rip-them-into-little-tiny-pieces books like Spiderman and Cars and Scooby Doo? And now I'd better hurry and post this before I remember yet another book that we loved. I agree with you on children's book. They need to be quality. 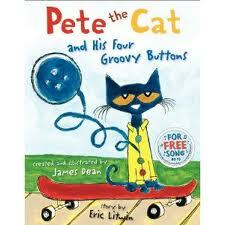 I love Pete the Cat, but most of these books I haven't read! I am so excited to add them to my list. One of my favorite children's book is The Black Book of Color. It's a book about what blind children see as color. It is really neat! If I think of any others I will post again, I just can't think this early in the morning! I agree with you, its like the world is yelling: 'nah, its ok. they're only kids. its not like they are going to affected by the lack of quality'. I find it annoying. Most the time Sierra is pretty particular when we go to the library, which makes me happy. But every now & then I have to say no, lets grab a different one. I've been really impressed with the illustrations and and thoughtfulness of the usborne books. I especially love: "A Friend" by Annette Bley. But all of the books I've seen of Usborne makes a point to teach a lesson in a fun way. And they do the classics. For my baby shower that my in-laws gave me they had people bring there favorite child books and it was really nice. I noticed that Dr. Seuss seemed to be the most popular. But they were mostly just the classics like "Love You Forever" and "Good Night Moon". But one of the favorites is actually a newer book called "Just like My Dad" by David Melling (Heather actually gave it to us). But as Mary said the Usborne have some really good books. I've got two of them one is a book the hooks to the carseat and the other is one of those feeling books that are good for tiny people. I'm so with you about all your points of quality! The biggest thing I hate are the several books we've run across with underlying political messages. What I thought was a nice book about elephants turns out to be a harangue on the evils of war. Stuff like that. I do agree to a certain extent. I think there should be a mix...that way the Cars book they can read to themselves or their siblings bc they already know the story. This also shows them life is a balance of learning and just mind numbing fun. But thank you for that list...we havent gone to the library in a while bc I didnt know what to get and now I have something. We should all write a children's book and share with each other. Thanks for some good recommendations! We really like The Big Fib! You are a very interesting book reviewer. Maybe you could do it full time. I'm very curious about several of the books you mentioned and may have to read them myself--even with no granddkids nearby. 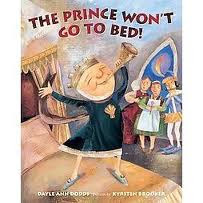 Also, one of my most favorite children's books is "King Bidgood's in the Bathtub" by Audrey Wood. Do you remember that one? Heh heh. Hi. As an unmarried college student, I feel incredibly under-qualified to be speaking on this subject, but as an illustration major and a life-long bookworm, I feel I must add that I agree with you, and also inform you that a lot of mediocre/bad children's books are probably the result of the author/artist really needing to be published and being able to lay claim to some form of experience in their line of work. I mean, if you're trying to get someone to publish your work, or even buy your work, it helps to add that you wrote/illustrated a children's book. Or a book of some kind. Personally, I am going to be an awful mom because I am not going to give my children coloring books. I decided this when I was twelve. I have no idea why. Well, actually, I do - the people who drew the pictures in the coloring books made me feel bad about my own drawings. But I was an oversensitive little kid, so I'm probably going to change my tune when I actually have kids myself.